As much as a love my Denman dressing out brush, I would rather not have to physically backcomb my hair to get the effect. I got this little bottle in my Boots advent calendar and have used it quite frequently since. As with most styling sprays, if you spray it too close to your hair you are in danger of it getting 'crispy'. However, when used correctly, you can get a great backcombed effect with minimal knotting (like you get with a brush) and minimal crispiness (when you spray at a good distance). 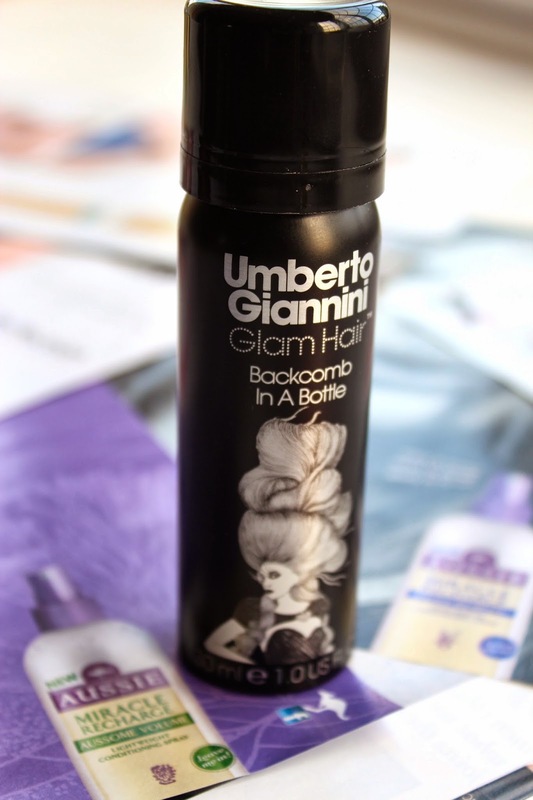 I use this after I've styled my hair with my GHDs. I use a comb to section portions of my hair around the top of my head and spray it on the roots. I give it a light comb through and voila! Hair with a backcombed effect and no backcombing required! Using sprays like this is much better for your hair than backcombing, the only downside is that when used regularly, sprays like these do tend to run out quickly (for me at least! ), so it is overall more costly than just using a backcombing brush. Although, I think its worth it considering that there is less damage done to the hair and there are often offers in Boots and Superdrug that make these products more affordable!